England spin-bowling coach Mushtaq Ahmed has left to take up the same position with Pakistan. The 43-year-old former leg-spinner, who played 52 Tests for Pakistan, worked with England for six years. His exit is the latest change to the coaching set-up following the 5-0 winter Ashes whitewash in Australia. 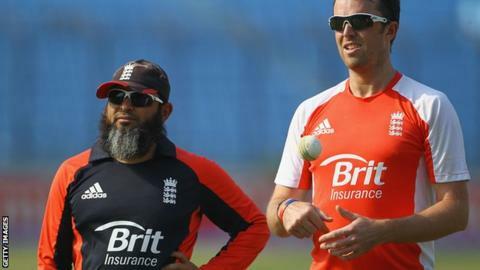 Team director Andy Flower resigned, limited-overs coach Ashley Giles was overlooked for the head coach's job and Graham Gooch left as batting coach. Batsman Kevin Pietersen was sacked before Peter Moores took over from Flower, while Paul Downton replaced Hugh Morris as managing director of the England and Wales Cricket Board. James Whitaker succeeded Geoff Miller as national selector, and Angus Fraser and Mick Newell joined the selection panel.